Employers in the US often look towards foreign professionals for filling their highly qualified positions. Likewise, overseas employees often look at a job based position in the US for conducting either business affair or gaining access to migrate to US for a temporary period of time. The individuals would require to be accepted for the temporary visa for the duration their visit to the US. 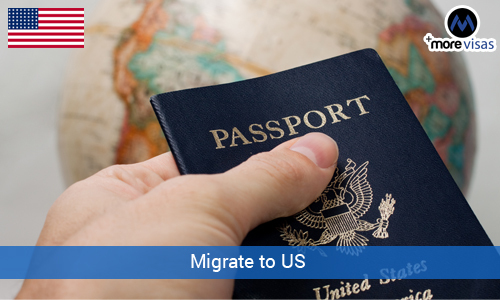 There are many options available for the overseas professionals to migrate to US as the US immigration has provided the facility of availing wide range of visas. This visa is the most favorite among the professionals, the individuals always look to avail is this visa so that they could get the chance of working in the US. if an individual has got skills, experience and good education then he/she can apply for this visa. it allows you to stay in the country for the period of six years. Overseas professionals could also apply for the E-1 and E-2 visa to reside in the US for doing business. The investor must be a citizen of a treaty nation. The amount of the company trades managed in the US should be adequate. E-2 visas are being granted to those individuals who can investment good amount of money in the economy of the US. Around 10,000 visas are available yearly, and visas for the investors in the regional centres are decided by the USCIS. This visa allows the international companies to send their qualified employees to the US for work purpose. This visa is used to bring extra ordinary talented individuals to the US. This visa is for those individuals who has gained some tremendous achievements. This visa allows overseas professionals to migrate to US who comes with an intention to do some business activities like business meetings, business negotiations, business meetings etc.